Laketown Wharf Offers Smooth Savings for Seabreeze Jazz Festival in Panama City Beach, Fla.
Sparkling pools come with Gulf of Mexico views at Laketown Wharf. 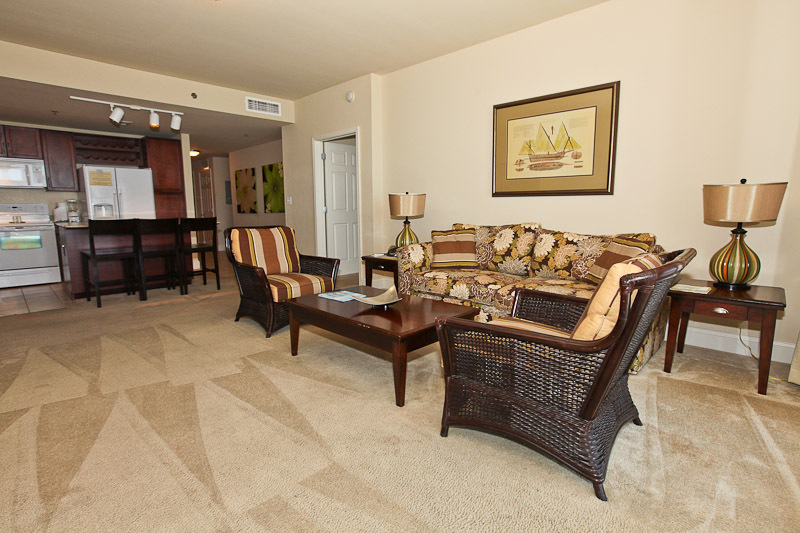 Jazz fans and visitors to Panama City Beach enjoy nightly rates starting at $129 in time for the 2012 Seabreeze Jazz Festival. Sway into spring at Laketown Wharf, where jazz fans and visitors to Panama City Beach enjoy nightly rates starting at $129 just in time for the 2012 Seabreeze Jazz Festival. This year’s all-star lineup of top artists takes the stage April 18 - 22, 2012. As a proud event sponsor, Laketown spotlights a full weekend of smooth jazz performances and family-friendly events amid a dazzling white-sand backdrop on Florida’s Gulf Coast. The annual Seabreeze Jazz Festival draws more than 20,000 visitors and enthusiasts to Panama City Beach as one of the country’s top jazz events. Musical performances spotlight award-winning national acts, including Dave Koz, Brian Culbertson, Richard Elliot, Rick Braun and more - alongside a full schedule of kickoff celebrations, artist meet-and-greets, free jam session concerts and more. Music lovers find an affordable getaway in the heart of the festivities throughout the weekend event. Laketown Wharf’s nightly rates start at $129 for a one-bedroom condominium featuring a full kitchen, two baths and bunks to accommodate up to families of four. For additional space, Laketown offers two- or three-bedroom units at the nightly rates of $149 and $209. Guests also receive two complimentary beverages at the poolside Cabana Bar & Grill. Seabreeze Jazz Festival rates are valid for all stays with a two-night minimum throughout the month of April, 2012. 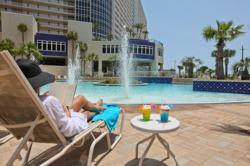 Managed by Sterling Resorts, the landmark Laketown Wharf is located in the heart of PCB just steps from the sand. Laketown’s spacious, one- to three-bedroom units feature full kitchens, flat-screen TVs, complimentary Wi-Fi, washer/dryer and private balconies overlooking the Gulf of Mexico. Five resort pools make a splash with families. Other onsite amenities include the state-of-the-art fitness center and 52,000-square-foot boardwalk surrounding an immense freshwater lake. Visit http://www.LaketownWharf.com or call 877-567-1314. 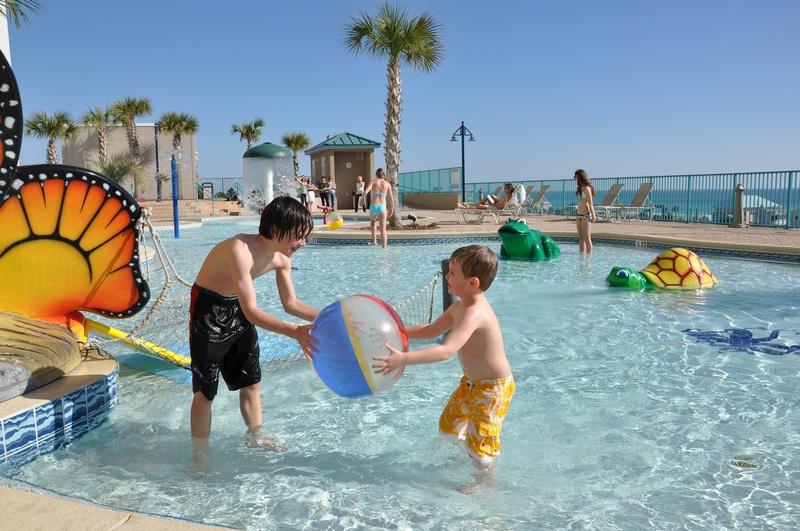 Five resort pools make Laketown Wharf a splash with families. Family-friendly units boast full kitchens, washer/dryer and private Gulf-view balconies.